Yiwu Market History - How Yiwu Market Was Born? Rome wasn't built in a day, same as Yiwu market. This Yiwu market history helps you understand why ? and how? Yiwu is a mountainous region of barren land. The land was so barren that local people had to trade for a living back to 1600s. It was in a very old barter way - I give you an apple, you give me a fish. Chicken feathers were badly needed by Yiwu people: it was a superb raw material to make fertilizer, and fertilizer can make poor Yiwu land grow more grains. 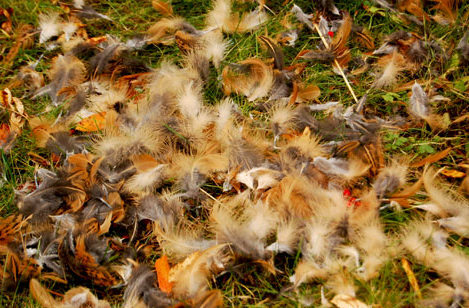 Plus, good roaster feathers can also be made into feather dusters. Candy is welcomed by all people. Yiwu people chose their local brown sugar, cooked with ginger then shaped in big chunks that can be cut into smaller pieces later. 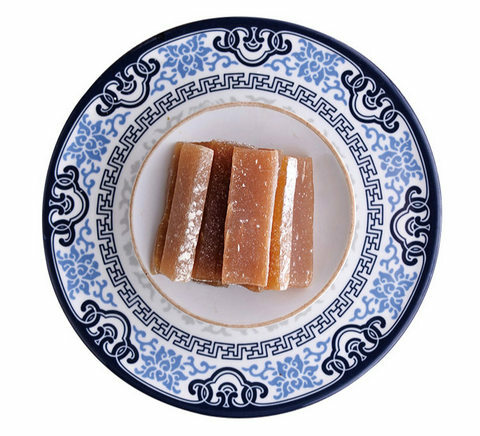 These sugar chunks, when cut into smaller pieces, were ideal candies, extremely welcomed by people of all ages and regions in China. Yiwu people gave out candy, they got back feathers. This is the "story of feather for candy". Feather for candy eventually became the soul of Yiwu market, it affects all business in Yiwu. From Oct. to Apr. , when there wasn’t much to do on farmlands, and there wasn't much food on table either, these feather-can-man carried candy, in bamboo baskets, by a shoulder-pole, traveled near and far, to trade with rural villagers for chicken feathers. To attract customers, they used a rattle drum. 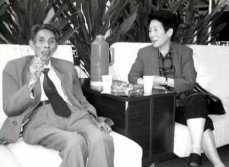 This is the origin for Yiwu businessmen. The first group of FCM came in 1600s. They were a group of solders under a famous general fighting back pirates, after winning the battle and pushed pirates back to sea. They went back home. These solders were more used to travelling like an army than staying on poor farmland as a peasant. They became the guru of FCM! When more and more FCM wanted candy and also other products , there had to be someone to supply them. So, some FCM stopped traveling, stayed in Yiwu to supply travelling FCM. More and more stayed FCM finally gathered at certain places to trade - the very early Yiwu wholesale market took shape. The earliest wholesale markets can back to 1700s. 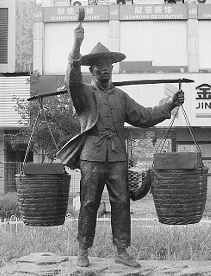 This kind of business went on and on for centuries until PRC was born in 1949. As PRC is a communist country, no free trade was allowed. FCMs were considered as being capitalism and was harshly pressed down. But the mountainous Yiwu was still mountainous , its barren land was still barren, its people was still starved, even it was already a communist country which suppose to be very rich. People need food, many of FCMs were still in this business secretly. As long as there were FCMs, there had to be someone to supply them. That was a down time for FCMs. Each time they got caught up, all their goods and earnings was confiscated, some were even put into prison. After her goods were confiscated again, Mrs. Feng , a young woman with 5 kids, went directly to then-Yiwu-Mayer, Mr. Xie Gao Hua's office, and told him that she wanted to sell on streets. Why the a governor does not care people's living or death? This slam also slammed the mayor went into a-several-month investigation in Yiwu. After his investigation, he found that traders were all in a better living condition than peasants. So he made a decision: let it go! That was a very brave decision, he could easily lose his job or even be put into prison for supporting capitalism. And it was very lucky that Mr. Deng Xiao Ping (the former China president) was also considering free trade(at least partially free) then. Yiwu government put cement boards over a stink ditch nearby Huqingmen street, and set up around 700 stalls on September. 1982! That was one of the first free marketplaces in PRC's history. 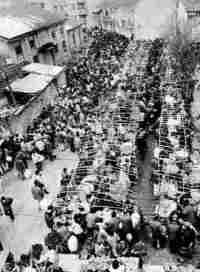 The first Yiwu market (also wholesale market) was born! Then it is a 30 yrs crazy growth of Yiwu market itself, along with whole China. 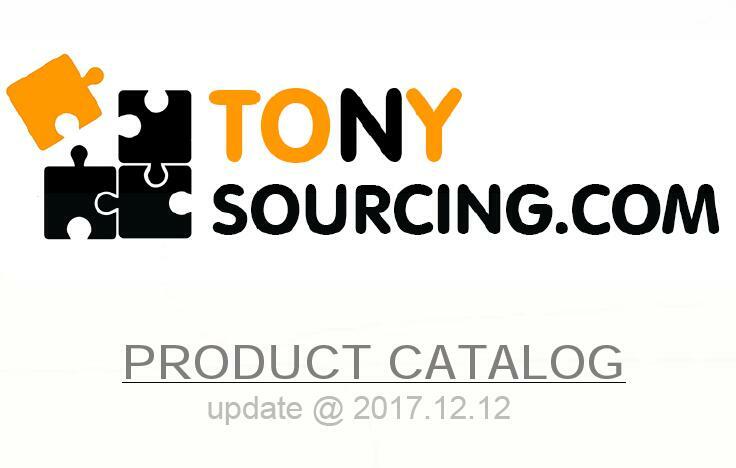 Now Yiwu market consists of 3 main market complex: Yiwu International Trade City/Yiwu Intl Trade Mart ( Futian market), Huangyuan clothes market, Yiwu international raw material & production equipment market,and a dozen small specialized products market. Total store fronts exceeds 80,000+ . Yearly turnover exceeds 10 billion USD, became the world largest wholesale market for small commodities.